In the last 6 months, apart from regular tweets, their wasn’t much to update. As the economy grows, it creates an affluent class of people – Businessmen, Professionals, etc. The disposable money these affluent class a.k.a HNIs will have is mind boggling. They first celebrate and satiate their lifestyle by zipping past in cars, then dream home and now the surplus finds its way in Art and other collectibles. Philately [Collection of Stamps] and Numismatics [Collection of Coins] is a hobby for many but it has opened the doors for investments as well. Today we will touch upon Numismatics as an investment. As you all know we are conservative in our advise even when it comes to the most risky asset class Equities. Applying the same principle for Numismatics, we advise our readers and investors to stick to only one class of investments in Numismatics – Commemorative Coins issued by the Government of India through its Mints in Mumbai, Kolkata and sometimes from Hyderbad and Noida. 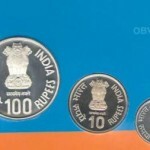 Why just stick to Commemorative Coins issued by Government ? Like the saying goes “don’t venture into unknown waters”, don’t buy coins of pre-independence or Moughal era unless you know how to evaluate them. All those 100 year old coins are in the hands of extremely cunning traders who will cut your pockets deeply and is not worth it. Commemorative Coin Sets as Investment Since India’s independence, the Government has issued 80 different Commemorative Coin Sets starting from Nehru Ji to Rabindarnath Tagore. 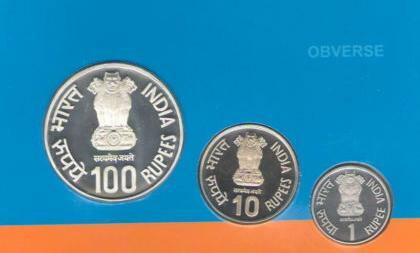 These are issued to commemorate a certain event in Indian History. They are open for booking and struck against order by collectors / investors. The valuation of these sets is not on the face value of the coin but mainly the antique value and the intrinsic value of silver. RoI in Commemorative Coins The XIRR Return on Investment in Commemorative Coin sets is approximately 20% Compounded and is fairly decent in our view. Who should Invest in Commemorative Coins ? if you are willing to hold your investments for 20 years, we suggest that you start investing in these sets now and collect every set issued by the Government of India in the next 20 years and sell it then. How Much to Invest in Commemorative Coins ? We started investing in it in 2010. We Book 3 to 4 sets of Proof Coins and 2 Sets of UNC. Why Multiple Sets ? Because we set a target that we should have all commemorative coin sets issued between 2005 to 2030. So when we got the Rabindarnath Tagore set issued in 2011, we exchanged that with other collector who gave us a set of Khadi Village and Industries issued in 2007. Values of both may not be the same during exchange, so pay the small difference. As the number of HNIs [Networth of 250 Cr] increase exponentially to over 1 crore individuals in the next 10 years, the dmeand for such antiques will also rise and by then you should have an enviable collection to cash-in. Can this really happen ? Ok for instance, the number of smart investors / collectors who bought Shahid Bhagat Singh coin sets in 2009 is just 4880. Now compare this to the demand of 1 Cr HNIs within India and Millionaires outside who will find Commemorative Coins as an attractive investment and Collection for their Family Wealth. You can refer the Wikipedia for Proof and UNC / Unused Coin Sets. Questions and Comments are Welcome. I have a query here. Now Hyderabad mint has started re issuing coins like RBI platinum jubilee, C. SUBRAMANIAM BIRTH CENTENARY coins etc. So if govt mints reissue same commemorative coins now and then on adhoc basis, how you can assume that these coins(other than metal value) are going to appreciate? So only metal value appreciation can be seen not antique values from Indian Govt Mints. So I ll better go to buy some jewels/ ETF.